Current digital video recorders (DVRs) developed by Timespace Technology for our covert surveillance systems are able to capture 200 images per second in a proprietary file format with user configurable resolution. Watermarks are embedded and encrypted in the mobile CCTV images making them tamper-proof and therefore ideal for use in courts as evidence. All DVRs, except the X500, are E-mark approved for installation on vehicle production lines. The Timespace V500 builds on the proven V400 platform, and is a hybrid recorder, offering 16 channels of analogue (SD) video plus 8 channels of 1080P (HD) video. The Timespace V400 is a fully integrated mobile video recorder for bus, coach, rail and military applications. It has a built in power supply and GSensor, shock mounted hard disk. The Timespace R500 is a hybrid recorder offering 4 channels each of analogue (SD) video and 1080p (HD) video. Ideal for vehicle use. 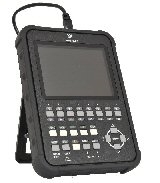 The Timespace X300 DVR is a mobile video recorder for bus, police, HGV and military applications. CANLink has been developed by Timespace to provide a safe means of recording and transmitting vehicle CAN engineering data. Designed for easy installation, CANlink enables vehicle engineering data to be analysed and reviewed in sequence with recorded video footage. Proactive maintenance can now be based on real time data, avoiding expensive equipment failure. 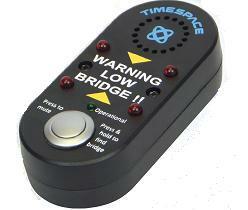 Bridge Alert is a low bridge driver warning aid, integrated with the Timespace V400 and V500 vehicle CCTV recorder. Audible and visual low bridge warnings are provided via a dash board mounted device and the drivers CCTV monitor. The Timespace X500 is a hybrid recorder offering 4 channels each of analogue (SD) video and 1080p (HD) video. The X500’s High Quality Audio provision includes 4 studio-quality audio inputs, enabling “gunshot to whisper” audio recordings. Ideal for use in covert, mobile and law-enforcement surveillance applications. 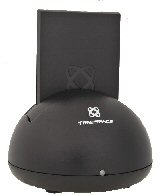 The Timespace Reviewer ensures a crystal clear viewing of events. The reviewer is compatible with all timespace DVRs and its interface maximises the powerful features of the X300, V400 and V500 recorders. The Timespace USB Cartridge station enables the reviewing of footage directly from cartridge using PCLink Suite software. The Cartridge station accepts all timespace cartridges with the flexibly to hotswap drives.